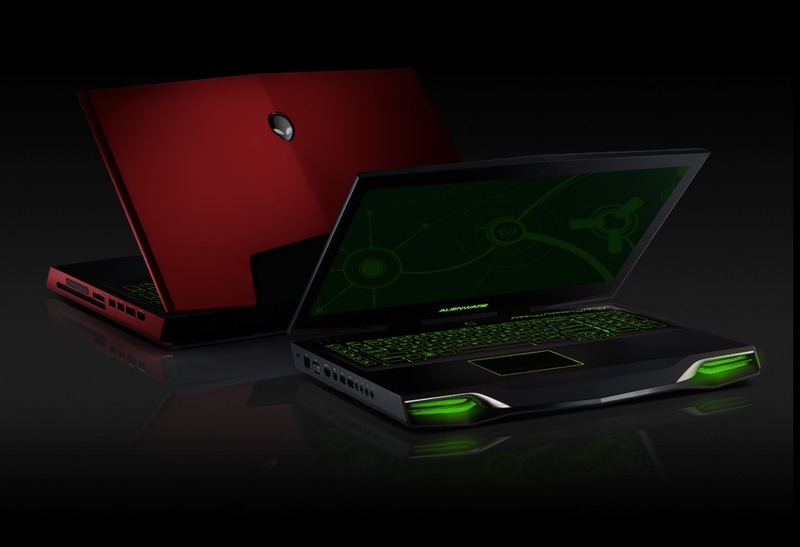 Alienware M18x is a monstrous gaming laptop released after Alienware M17x which comes with a huge screen of 18″ inches .It comes in 3 different variants each with different hardware specifications . It comes with default windows 7 Home premium but you can upgrade to windows 8 if you want to.It is considered to be the most powerful Gaming laptop in the universe because of its very high and advanced hardware specifications.Alienware offers the best hardware quality and design offering custom designs such as AlienFX lighting controls and much more customizations.It allows you to change the colour of keyboard layout also.With the power of Dual GPU Processing it is capable of playing any latest games at ultra smoothness offering great fps during gameplay.With a massive starting weight of 5.4kg it becomes difficult to handle and carry everywhere you go .The main reason behind heavy weight is the use of very powerful components to provide immense gaming experience so as to handle each and every game.It consists of a customizable set of hot keys which are colour coded by LEDs in accordance with the preset.Alienware M18x features FULL HD (1920X1080) Resolution with advanced 1TB RAID ( Two 500 GBS) Hard drive that offers fast processing and accessing in comparison to other hard drives.It is slighlty expensive in comparison to other gaming laptops.Dell is a official dealer of Alienware products. Note – All of the above models can be customized in accordance with the user specifications.